Most agents stick to traditional marketing efforts for open houses. We’re talking about flyers, yard signs, and print advertising. However, to make sure you’re marketing your listing to its fullest potential, you’ll need to think outside the box. Ensure you’re maximizing your ROI on your next open house with these 5 real estate lead generation ideas. Any agent will tell you there’s no better way to generate referrals than circle prospecting. Generate a buzz around your next open house, by providing food, wine, dessert, or a free buying or selling seminar. Attendees will tell their friends and family about the event. Broadcast your open house through Facebook and Instagram Live. Both Instagram and Facebook send phone notifications each time a user goes live. Live video is the most engaging form of content out there. Leads will be reminded not only that you’re open house is going on, but can also attend virtually. Note: Always ask the seller if it’s okay for you to broadcast their home. Facebook has proven to be one of the most reliable networks for real estate lead generation. Zurple utilizes Facebook’s hyperlocal marketing services to communicate with real estate leads in your target listing markets. To learn how you can start speaking with leads in your market, request a Zurple demo below. Not every lead that attends your open house will be sold on that house. Give them the opportunity to check out your other listings. Those individuals will also see that you’re well connected to their market and perhaps consider you as their agent. You’ll never generate leads from an open house if you don’t walk away with a point of contact for leads. Unless you live in a town of 500 or less, the chances of you running into open house attendees is slim. If you provide any sort of freebie or give-a-way, require leads to provide a phone number or email address to receive it. Also, be sure to have a sign-in sheet so that leads can leave their name and number. 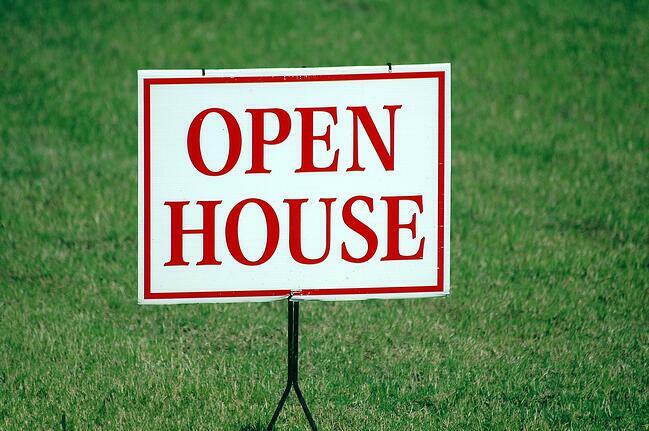 Open house signs will attract buyers in the near vicinity of the listing. But to go above and beyond to attract listings from all over, you’ll need to use more advanced tactics. Hoovy, a drone company, can fly your open house banner all over town. Also consider an email and social media campaign for all your upcoming open houses. Some agents even utilize hyper-local paid marketing services for their open houses. Agents can purchase ad space on Facebook, Instagram, or on specific local websites. The internet will allow your marketing efforts to reach a much larger vicinity.